M.Sc. in Molecular Biology/ Biotechnology/ Bioinformatics/ Life Science or B.Tech in Bioinformatics /Biotechnology with CSIR/ UGC-NET/ ICAR/ DST /JRF/ GATE. M.Sc. (55%) in Botany/ Genetics/Plant Breeding/ Genetics and Plant Breeding. B.Sc. (55%) in Botany/ Genetics/ Plant Breeding/ Genetics and Plant Breeding as one paper in the final year. 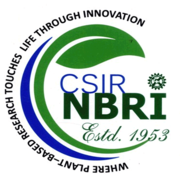 PhD in Agronomy/ Soil Science/Horticulture/ Botany with uniformly outstanding academic record, publications and clear potential for high-quality R&D work. Ph.D. in Chemistry/ Organic Chemistry/ Pharmaceutical Chemistry /Medicinal Chemistry/ Analytical Chemistry/ Biochemistry with 4 years experience. M.Sc. (55%) In Chemistry/ 0rganic Chemistry/ Pharmaceutical Chemistry /Medicinal Chemistry/ Analytical Chemistry/ Botany/Plant Science/ Biochemistry or B. Pharm. B.Sc. in chemistry, Botany Zoology. 1st class M.Sc. in Clinical Research or 1st class B.Pharm.
" Understanding the molecular mechanism of defence in pigeon pea (Cajnas cajan) due to infestation by Helicoverpa armigera and" Elucidating the role of gram-domain containing gene(s) in Bacillus amyloliquifaciens-mediated abiotic stress responses in plants"
"Breeding and genetic improvement of Hemp (Cannabis sativa L.) for industrial and medicinal purposes"
"Propagation of new dwarf cultivars of Neem with early maturity and higher Limonoids yield"
"Characterization and value addition of plant-based resins, gums and waxes"
"Identification of potential bioactive chemical marker compounds and biological studies of Gloriosa superb and their geographical variations"